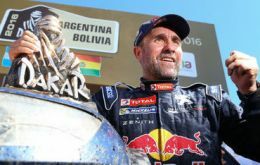 Stephane Peterhansel targets a 13th Dakar title next month, describing the grueling 2017 rally as the most intense he has faced and fearing the physical effects of racing at South America's punishing high altitudes. The 51-year-old Frenchman clinched his sixth win on four wheels in this year's event to add to six motorcycle triumphs since his debut back in 1988 when the famed race was still held in Africa. 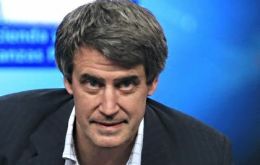 Argentina’s Gross Domestic Product (GDP) fell 3.8% at the end of the third quarter of the year, with sharp declines in manufacturing, construction and consumption, the INDEC official statistics bureau reported. UK Prime Minister Theresa May is considering making plans to pull out of the European Court of Human Rights (ECHR), a cornerstone of the Conservatives next general election campaign, it has been reported. 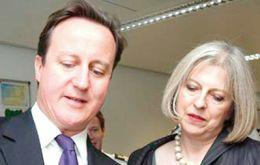 The Prime Minister is said to have accepted proposals for a British Bill of Rights – originally announced by David Cameron – which will have to be put on hold while the Government deals with Brexit. 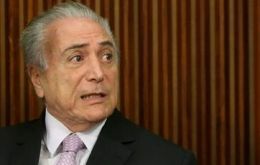 Following public embarrassment the Brazilian government canceled a tender for the purchase of luxurious food items to supply Michel Temer's presidential airplane with a total value of more than R$ 1.7 million (US$ 520.000). US President-elect Donald Trump on Friday praised Russian President Vladimir Putin for not reacting immediately to Washington's sanctions over alleged interference in his election. 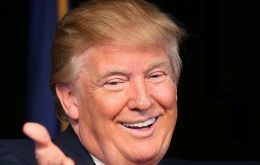 ”Great move (...) I always knew he was very smart, ”Trump wrote on Twitter. 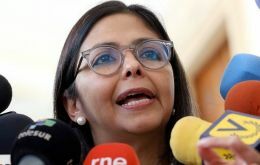 Venezuela announced on Friday that it had transferred the Mercosur pro tempore chair to Argentina, having ended its legitimate tenure of the post, although the rest of the block's members had already complied with the formalities two weeks ago when they also decided to suspend the regime of president Nicolas Maduro. Bolivia will charge a US$ 14.5 dollar entry tax to tourists arriving in the country by airplane. 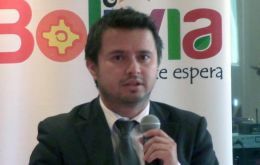 The new measure will become effective once there is an agreement with the private sector on the details, Deputy Tourism Minister Joaquín Rodas said. 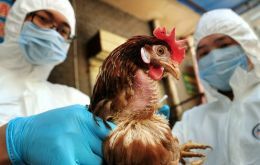 Hong Kong has confirmed a new human case of H7N9 bird flu, while the H5 bird flu virus has been detected in two cats that died in the South Korean city of Pocheon, it was reported on Friday. Greece's ambassador to Brazil, Kyriakos Amiridis, was assassinated in a suburb of Rio de Janeiro, apparently in a “crime of passion” planned by his wife - of Brazilian origin - and her lover, a military policeman who is suspected of having actually committed the murder, police said this Friday. 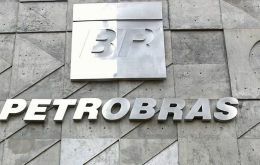 Brazil's oil and gas corporation Petrobras announced this week the sale of ethanol and petrochemicals assets for US$587 million, but said it would still fall US$1.5 billion short of its divestment target for the 2015-2016 period.